As jewellery shopping is more non existent than existent, I always prefer silver and white gold jewellery to gold jewellery because I find it much easier to match with my outfits. 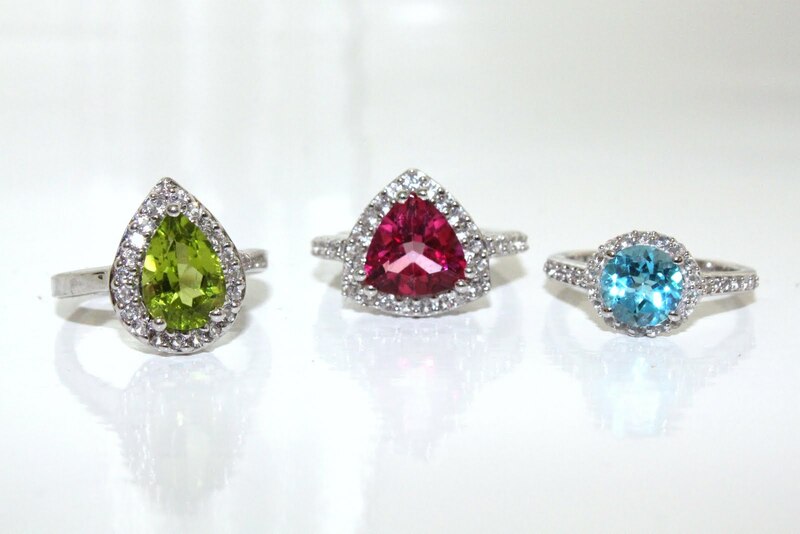 The reason why I chose these three rings is because of how enticing and sparkly the gemstones are. I love how much the White Topaz stones sparkle and help emphasise the colour of the main stone. I've never seen real gemstones as bright and striking as these ones, which is why I chose these specific pieces from their spoilt-for-choice website. It's really hard to choose a specific favourite out of the three rings. If I really had to choose, I would have to say that the Swiss Blue & White Topaz ring takes the spot because the colour of the gemstone resembles the clear blissful ocean. Which one is your favourite?